Join us in preserving, interpreting and educating others about the rich history of Akron & Summit County! 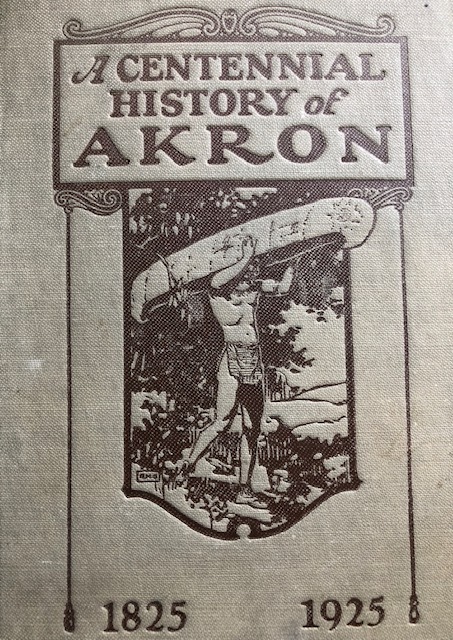 Formed in 1924 by the Cuyahoga-Portage Chapter of the DAR, the Summit County Historical Society was established to write a history of Akron to be ready for the centennial in 1925. This first publication has set the stage for our next 94 years as we continue to educate all ages about the vast history of this region and the amazing resources here. 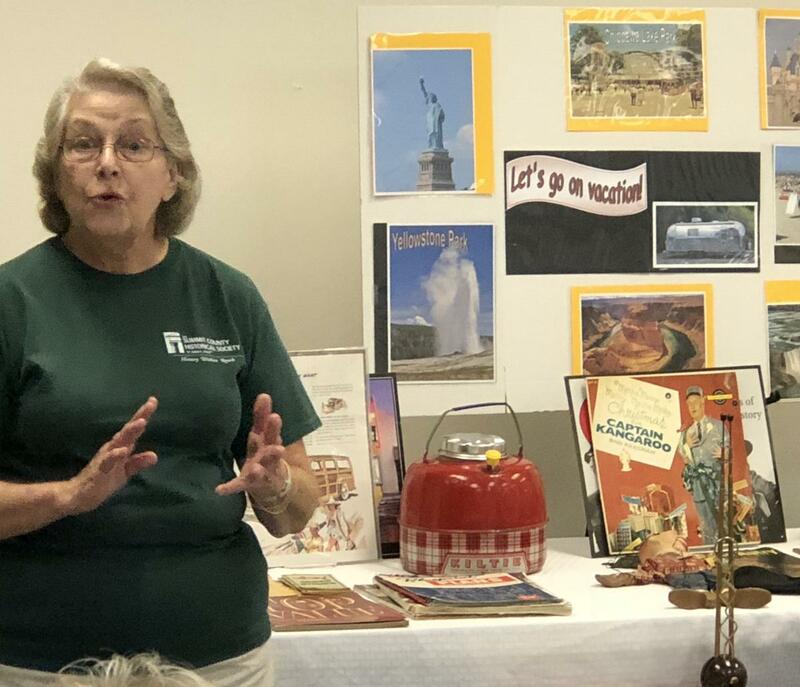 Our 4th Grade Education Outreach presenter, Mary Conley, reaches over 5,000 students each year by visiting their schools to share primarly resources such as a Mastodon vertebra, Native American points, hand tools, and trade items that are hundreds of years old. The programs are entitled, "River Through Time" and "Towpath to the Past." Through these visits, students learn timeline skills, experience the touch and feel of artifacts as they are passed throughout the classroom and learn about the economic impact of the canal systems in Akron/Summit County (Towpath). The Society provides these to schools for a discounted fee with the help of local foundations and Society membership contributions. Mutton Hill was the name given to this hillside by local residents. Colonel Simon Perkins went into business with John Brown raising 1300-1500 sheep on the landscape surrounding the properties of the current day Perkins Stone Mansion and John Brown House. Working with The Spicy Lamb Farm and Urban Shepherds, sheep are back on Mutton Hill midMay through September each year. Check back to see updated calendar of events when Shepherdess Edie Steiner hosts Mutton Hill Mondays and Working Dog Wednesdays. The Society works with a number of agencies each year for free and reduced programming. 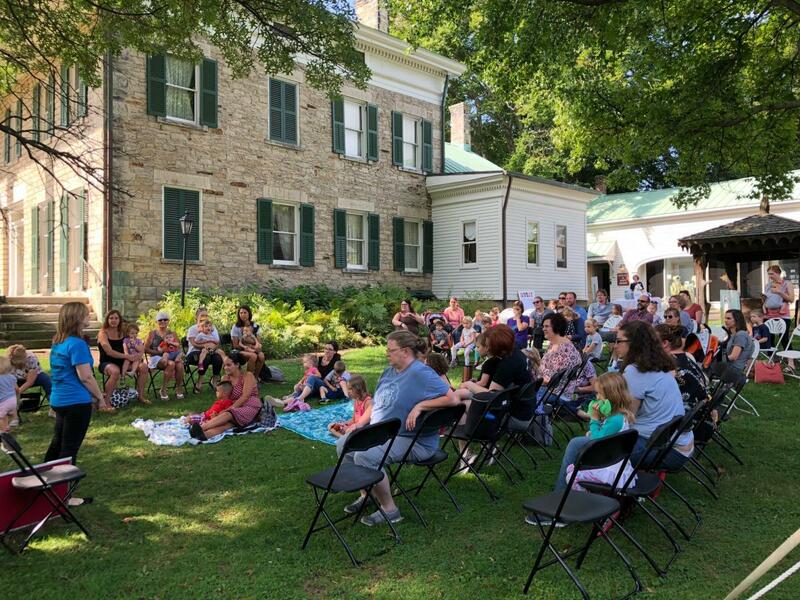 Two popular sheep events throughout the summer include "Stories with the Sheep" in collaboration with Akron-Summit County Public Library children's librarians and "Singing with the Sheep" hosted by Edie Steiner and her Baldwin Wallace University music therapy students. These interactive events are held on select Fridays June through August out on the lawn by the sheep pens. Arrive early to get a good seat as attendance numbers are high for toddlers through elementary school. Last school year, the Society hosted 3rd grade students from the Akron Public Schools at three locations: Old Stone School, the Perkins Stone Mansion and at Glendale Cemetery for tours and activities to enhance their experiential learning. Participants used slates and slate pencils, performed reading and spelling activities at Old Stone School; toured the home of Akron's founding family to see the sheep and experience life in the 19th century; learned to identify symbolism and architectural details as well as history of individuals and math at Glendale Cemetery. During the summer break of 2018, the Society partnered with the Salvation Army for a ten week camp. 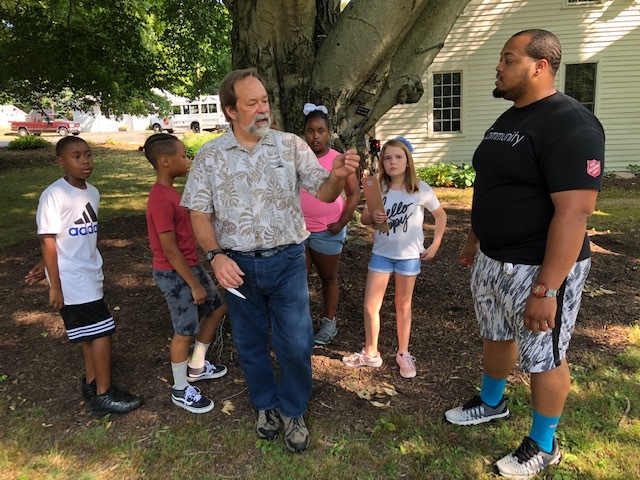 Each day of the week saw different grade students visiting the Perkins Stone Mansion property to learn about life in yesterear where they made their own butter, learned about architecture and agriculture and took their skills into the future with rocket launching. The Society's Remember When . . . programs have been educating and entertaining adults for over a decade. Originally established to reach out to individuals in nursing homes and assisted living, today, presentations by our Education Outreach Team (Janet McCaulley and Dave Gates) are given throughout a five county radius. Activity Directors and agency staff share wonderful stories of residents being able to participate who suffer from memory issues that can remember when with the Society. Programs have been held at community centers, libraries, community service clubs, yacht clubs and more. And, Society members can see the programs for free by attending Remember When . . . Hands On History the third Thursday of each month in the Society carriage house at 6:30 p.m.
Society members are also great volunteers! Consider becoming more involved at any level that interests you as we continue to build programming, exhibits and events for Akron's bicentennial in 2025! 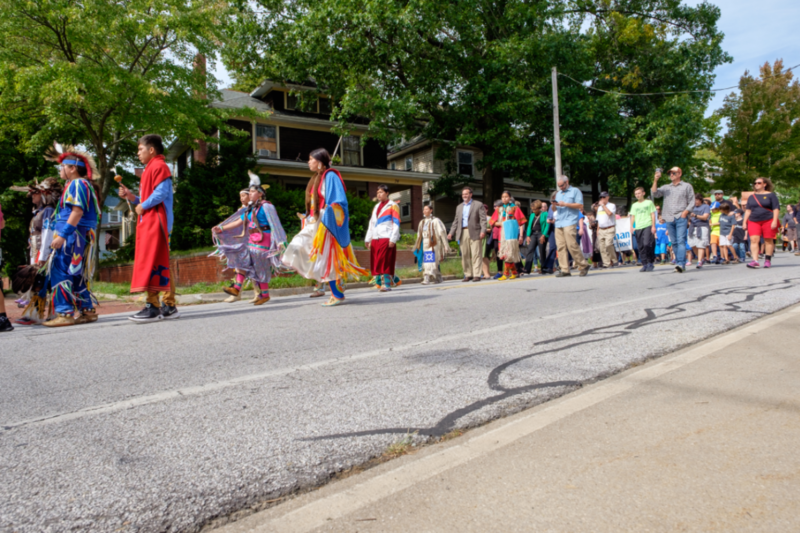 For Akron's 175th anniversary, the Society worked with The City of Akron to host over one hundred events with partner agencies to celebrate within the community. 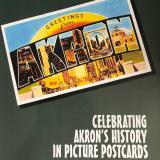 A keepsake from 2000 is still availlable in the Mutton Hill Gift Shop so that you can remember when with Greetings From Akron: Celebrating Akron's History in Picture Postcards. The Founding Families Membership provides additional benefits to families that settled in Summit County 100 years ago or more through a collaboration with the Special Collections Divison of the Akron-Summit County Public Library. The Diamond Business Membership celebrates companies that have been in business 60 years or more. We'll be happy to answer your inquires about these special categories. Call us or e-mail us. Our contact information is located on the "Contact Us" page. Because your role as a member of SCHS is vital to keep "History Within Reach," please consider joining or renewing today. SCHS will continue to enrich the social fabric of Summit County, increase civic pride, and deepen our attachment to the place we call home.